Image of a church and a corner of a hall on the right. Two roads cross each other near the church. 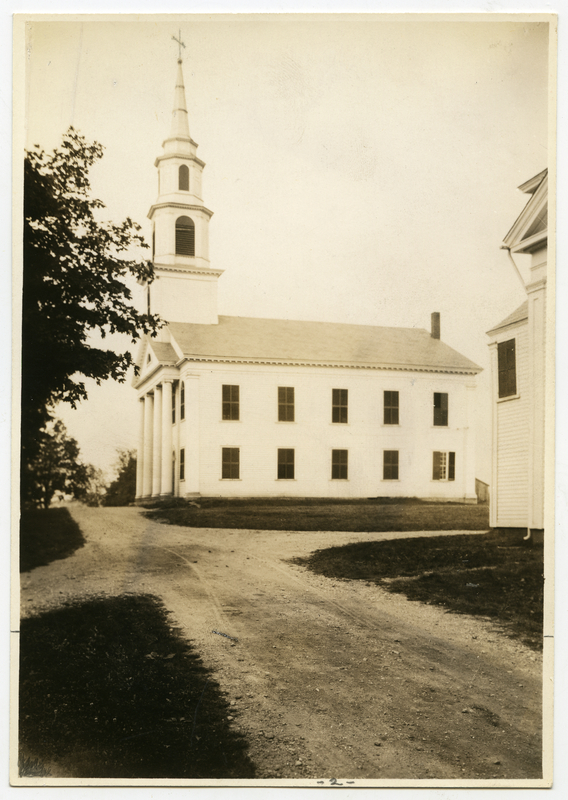 Johnson, Clifton, 1865-1940, “Meeting house and a glimpse of the village hall,” Digital Amherst, accessed April 24, 2019, http://digitalamherst.org/items/show/2678.